Windows Vista won’t be available until early next year, but current XP users drooling over Vista’s new Aero theme and utilities, such as sidebars and widgets, don’t have to wait for Microsoft to ship out its new operating system to upgrade their desktops. There’s a whole community of software developers and Windows-customization enthusiasts creating desktop themes and utilities that can give Windows XP a great-looking user interface filled with powerful tools. You’ll still have to wait for the official Vista release to get core features such as DirectX 10, improved security, and the rebuilt network stack, but there’s nothing stopping you from upgrading your XP user interface today. 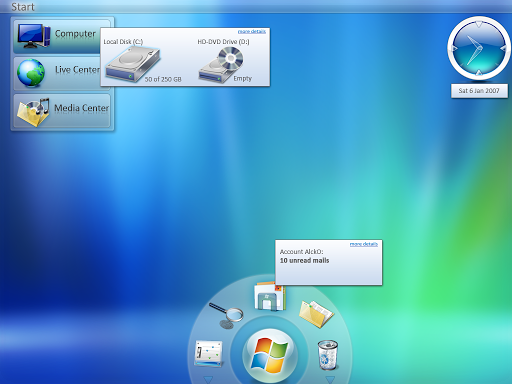 The Aero theme in Windows Vista updates the desktop look and feel with softer edges and translucent windows. There are several downloads that can help you achieve the Aero look on XP. Some packages, such as Vista Transformation Pack 4.0, are free downloads put together by dedicated users, but you can also buy programs created by established software developers, such as Stardock’s WindowBlinds, if you want a polished package with support. Stardock offers an entire Object Desktop software package that lets you design and build your own desktop or install a complete design created by others. The entire suite runs for $50, but you only need the WindowBlinds component to personalize your desktop UI with specially designed skins. The 60-day trial version doesn’t come with the Vista-inspired theme preinstalled, but we found several impressive user-created themes at WinCustomize.com. The skins we tried did a great job on the window-frame transparencies, along with the start menu and taskbar designs. However, you’ll need to get a separate icon pack to get high-resolution icons. You can give Vista Transformation Pack 4.0 a shot if you don’t want to shell out the $20 for WindowBlinds. The free download adds transparent windows, updates the taskbar, and even installs a new clock. The transparencies worked, but we found the see-through quality extended throughout the entire window body instead of just around the frames. Reading a Web page can be difficult if you can see text from the window below mixing with text in the active Web browser. Increasing opacity levels helped make window contents more readable but sort of defeats the purpose of installing the transformation pack in the first place. From left to right: Yahoo Widgets, Desktop Sidebar, and Google Desktop gadgets. 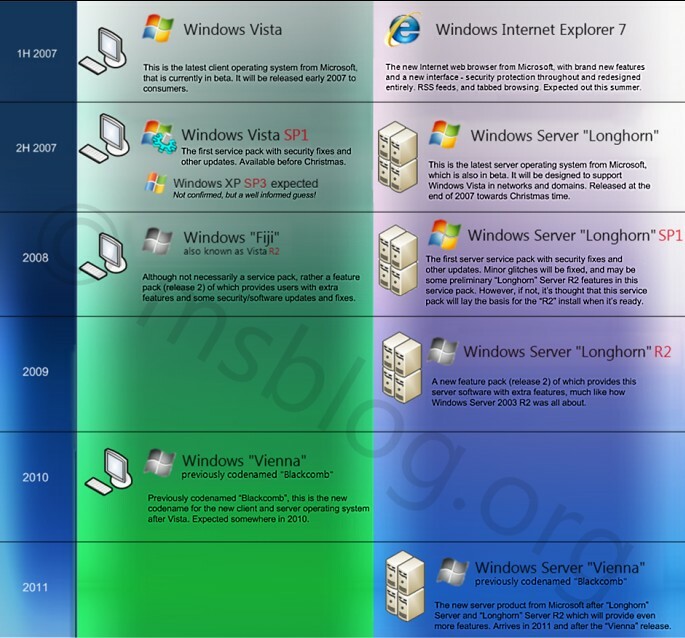 Windows Vista will feature Windows Sidebar. The sidebar is a vertical panel located on one side of the screen and is designed to host desktop gadgets, which are pocket-sized applications such as clocks, picture frames, calculators, and RSS displays. The sidebar application will also allow gadgets to float anywhere on the desktop. Right now you can drag your Windows XP system taskbar to the left or right side of the screen to create a poor man’s sidebar, but it still won’t give you any cool gadgets to run. To add gadget functionality, you can download free programs such as Desktop Sidebar, Yahoo Widget Engine, or Google Desktop. All three programs have a decent selection of desktop gadgets, including weather monitors, calendars, e-mail monitors, stock tickers, and even games such as sudoku. Desktop Sidebar and Google Desktop let you dock gadgets in the sidebar or pull them out to have them float on the desktop. Yahoo Widget Engine isn’t a sidebar since all the widgets are free-floaters, but you can stack various widget applications to mimic a sidebar if you can’t resist the need to force order upon your desktop. Icons enlarge as you mouse over them in the docking bar. Windows Vista isn’t the only OS that has neat GUI features worth stealing. Apple’s Mac OSX already offers widgets in its Dashboard application, and it also has a great-looking docking utility for programs and files. Check out Stardock’s ObjectDock if you want to get an OSX-like dock on your XP machine. Keep in mind that all of these applications will use up precious memory. If you’re coasting by with 512MB of memory, consider upgrading to 1GB or more to give your applications more room to breathe. Upgrading up to 1GB of memory will also prepare your system for the official Vista release. The new system requirements are mighty hefty. It’s impossible to re-create the entire Windows Vista experience on XP, but with the right UI modification and a good gadget tool, you should be able to hold out until Microsoft releases Windows Vista early next year. Check out GameSpot’s Windows Vista Hands-On Experience feature to find out more about Microsoft’s upcoming OS.